Track and monitor your inventory on real-time so you know what to reorder and when. Take charge of your business, wherever you are from any device. Migrate products from your old point of sale or online store by importing a CSV file. Or easily enter inventory by scanning barcodes. Save time creating multiple product variations, such as size, color and material in one easy setup. Track employee work hours and track sale progress. Transfer items from one store to another and check inventory levels. All locations will be automatically adjusted to reflect your changes. 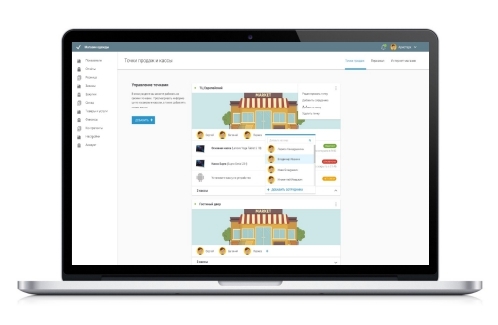 View and analyze sales by staff members, location, time period, or customers. Create multiple staff accounts, each with a secure pin code. All orders and register activity is tracked by staff account. (Only for POS users).